We’ve been raving about all the natural beauties of Australia’s Eastern coastline, but it’s time to show you some concrete examples. 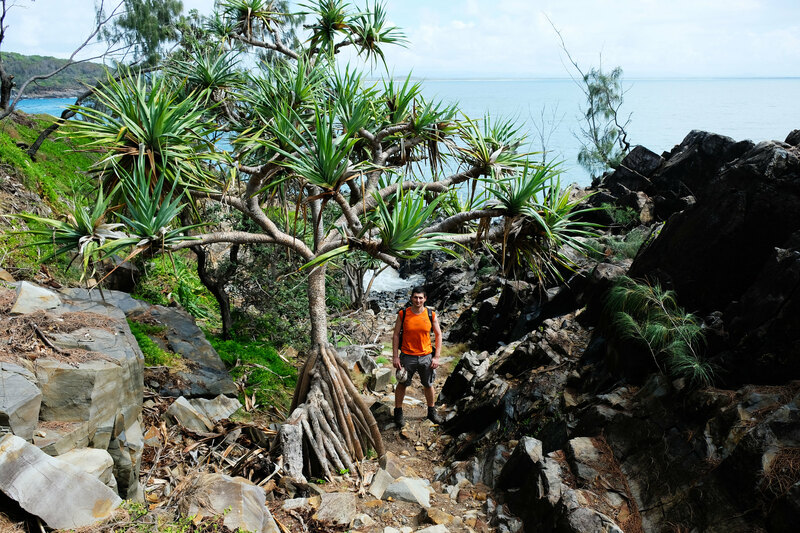 So here it is: a fabulous national park on the coast of Queensland that’s a mix of turquoise bays, perfectly sandy beaches, scenic coastal walks and eucalypt forests. Yes, koalas, too, if you’re lucky to spot them. 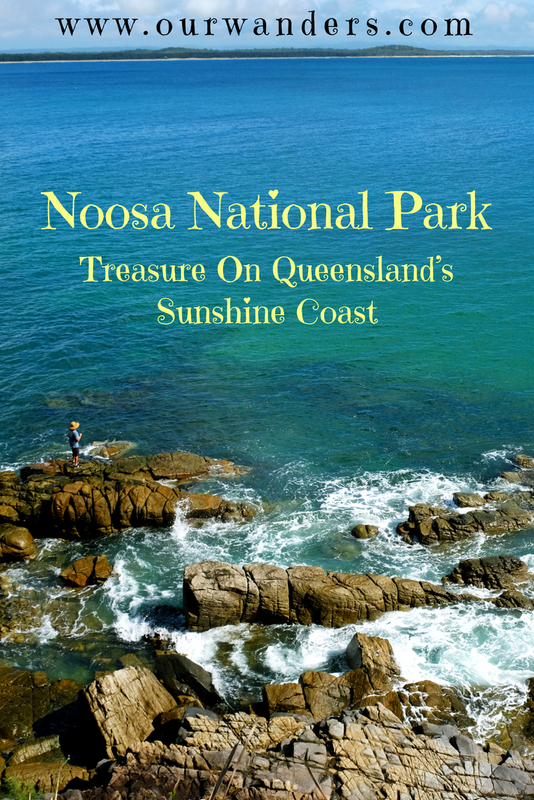 Noosa National Park is only about 2 hours drive from Brisbane on the legendary Sunshine Coast. 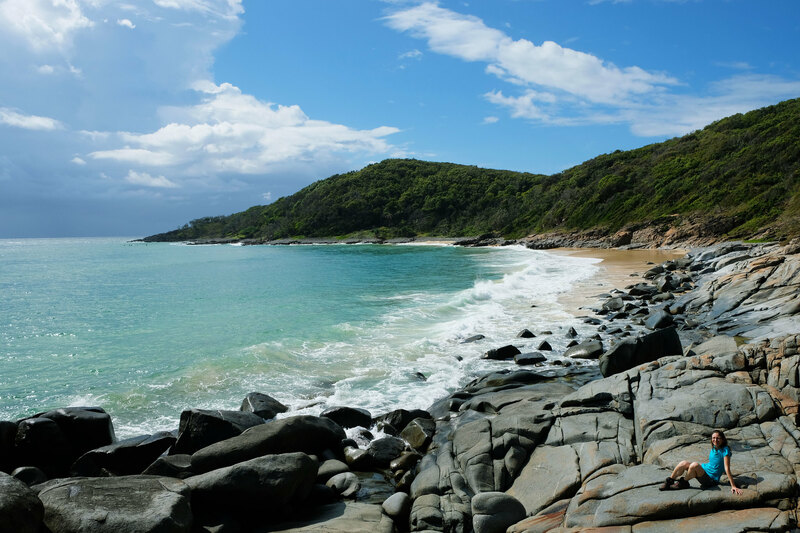 It’s a park where we could pursue our two Aussie passions: enjoy a scenic coastal hike and chill out on magical beaches. Noosa Main Beach has another clear advantage though. 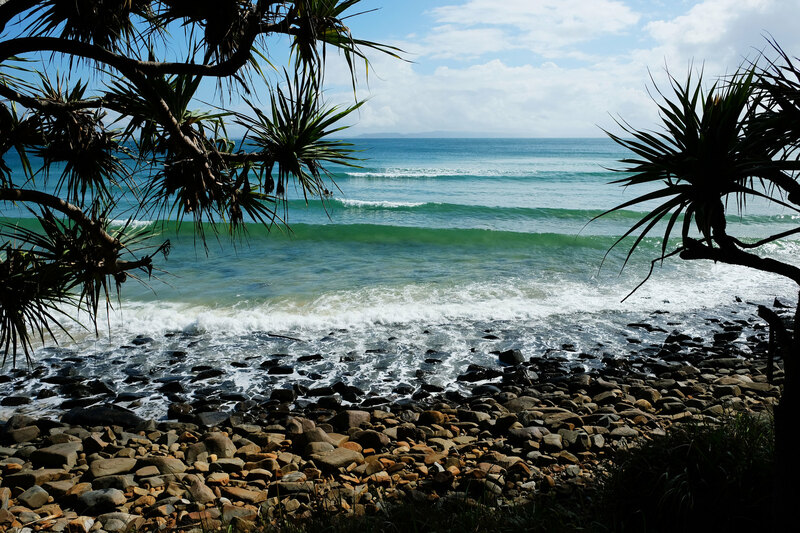 Unlike beaches inside Noosa National Park, it’s patrolled. But we didn’t start our day with a swim. We started it with a hike. Okay, we had our swimsuites with us since it’s a coastal hike. 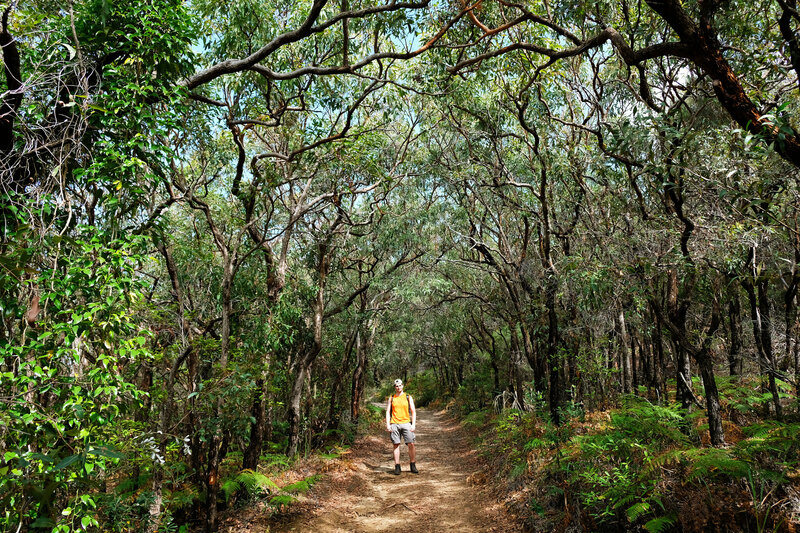 The 7 kilometres long circuit trail starts from Noosa Main Beach. We started on the Coastal Track that showcases all the beauties that made us fall for this park immediately: secluded bays, fabulous coastal views, and all the shades of green and turquoise that dominates the park. Little Cove and Tea Tree Bay are two especially lovely beaches. Lookouts like Boiling Pot, Dolphin Point or Hell’s Gates offer some of those great views we’ve mentioned. You can even spot some dolphins or whales if you’re lucky. We followed the track until Hell’s Gates where you could continue down to Alexandra Bay or head back to the Main Beach on Tanglewood Track. Alexandra Bay is long, amazing and you can usually see no one on the beach. There’s an unofficial nudist beach hidden there. After enjoying views of Alexandra Bay from bizarrely named Hell’s Gates, we turned back on Tanglewood Track. 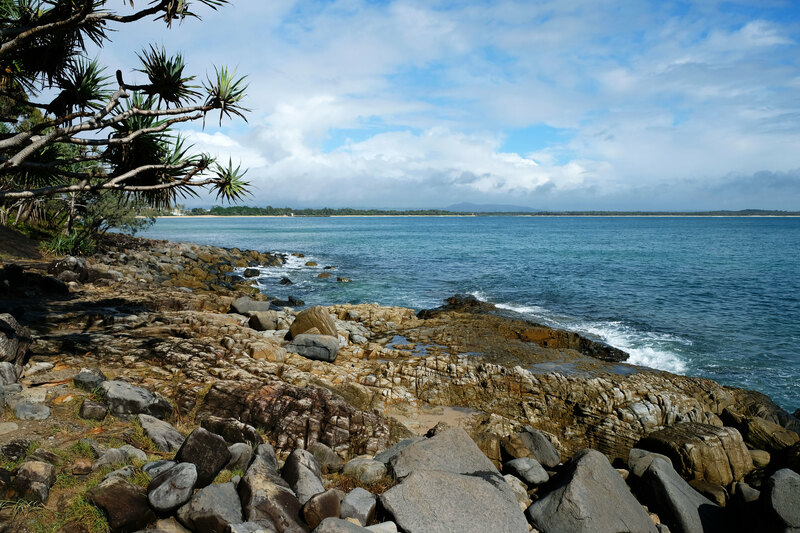 We wanted to spend the afternoon on Noosa Main Beach and in the nearby bays. Tanglewood Track is not along the coast, it goes through the eucalyptus woodland. It’s nice and shady. Forests in Australia amazed us anyway. They are so not like the ones we are used to. No wonder, since most of the Australian plants can’t be found anywhere else in the world. And here’s one thing about the Coastal Track I haven’t mentioned yet: the Fairy Pools. This is a famous off-the-beaten-track attraction of this hike – yes, I hope you feel the irony. It’s often referred as a hidden gem, but in reality, everybody knows about it. Not that it makes it less amazing – just sayin’, so that you don’t expect to be alone there. The Fairy Pools are tidal rock pools and actually, they are off the official hiking track near the eastern end of Granite Bay. Even the largest pool is not very large but quite deep, so you can jump in. Listening to the waves hitting the huge rock wall while enjoying this pool was special. You can find a bunch of cool swimming holes in Australia, but the Fairy Pools are definitely among the best ones! Just beware of the tide. 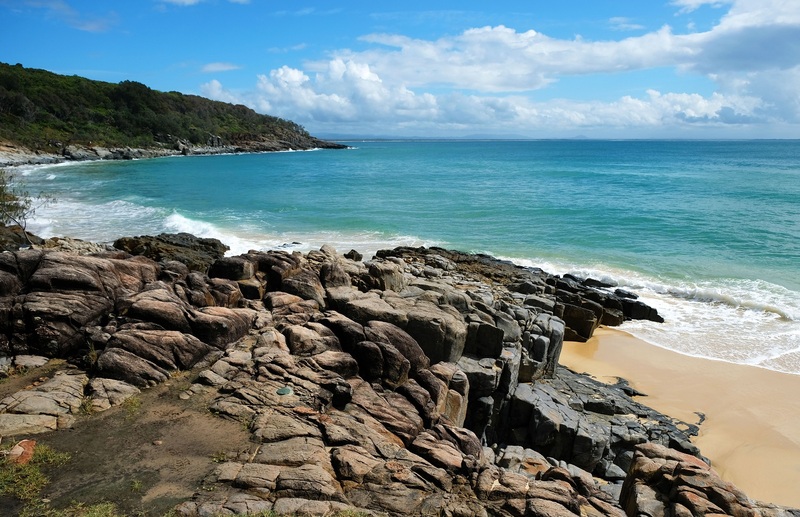 Noosa National Park is located on the Sunshine Coast. 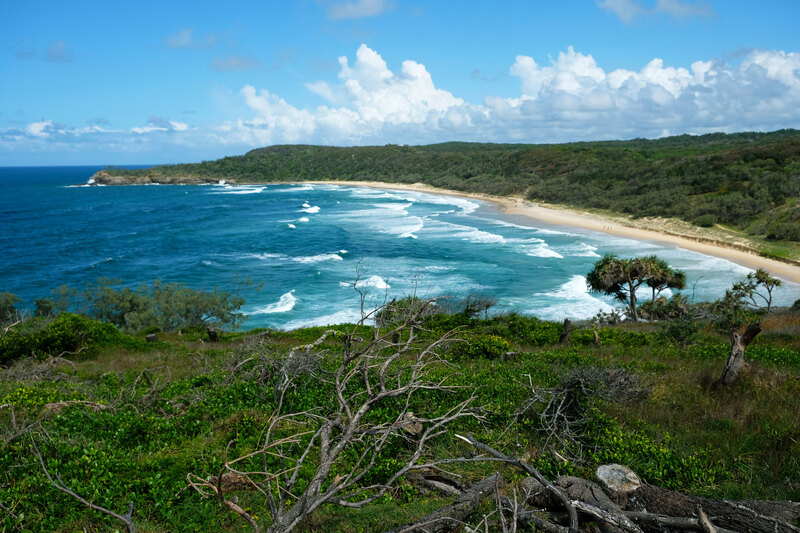 It’s one of the most populated areas in the state of Queensland and is home to some of the most beautiful beaches of Australia. 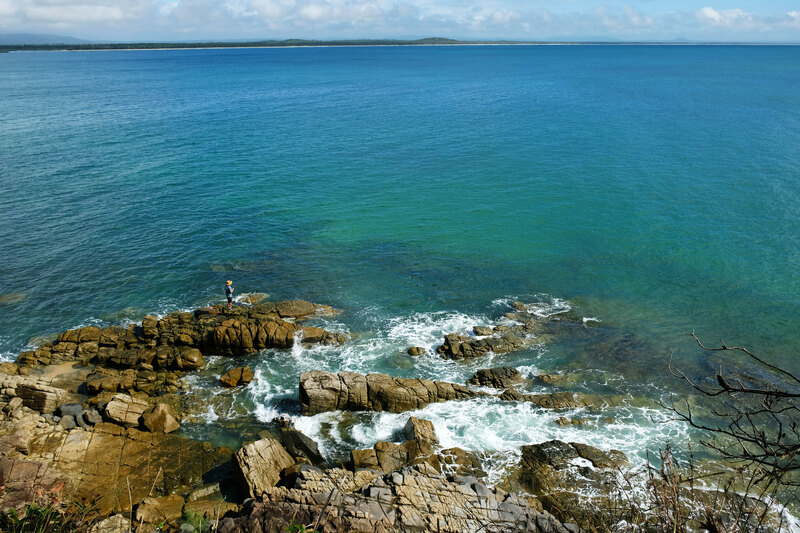 Noosa National Park is a highlight of the Sunshine Coast for sure, but I doubt we could get bored exploring all of its wonderful beaches and lovely coastal views. 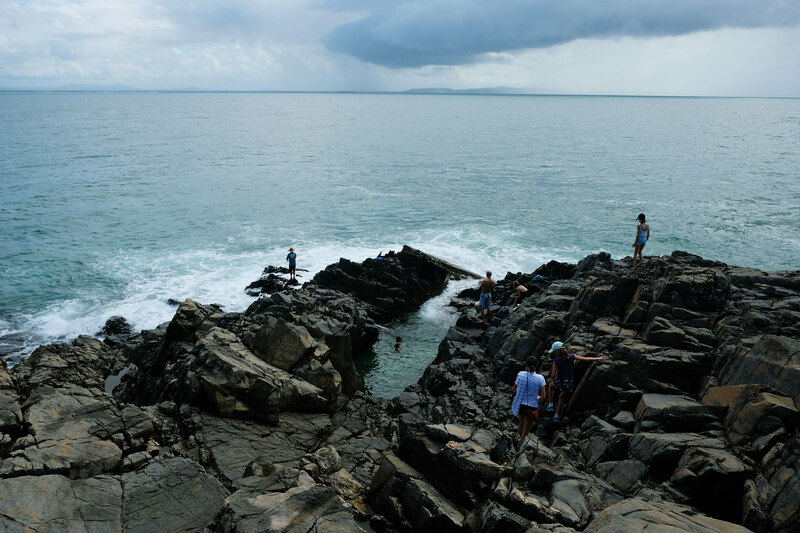 Have you ever jumped into a tidal pool? Where?